Faculty of Education » ECPS Home » Welcome to ECPS, Tim Laidler! Welcome to ECPS, Tim Laidler! We are pleased and excited to welcome Tim Laidler! Tim will join us as the Network Coordinator and Advisor for Veterans Research in the Centre of Group Counselling and Trauma. Tim has been a member of the Canadian Armed Forces Service since 2002. 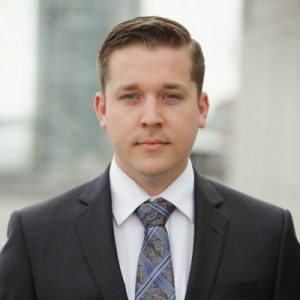 After pursuing studies in philosophy, Tim went on to the University of British Columbia to pursue a Bachelor of Arts in Philosophy and Political Science in 2009 and a Master of Arts in Counselling Psychology in 2014. Tim’s community service was recognized with a Queen Elizabeth II Diamond Jubilee Medal, and he was selected as alumni UBC’s Young Alumnus of the Year in 2014.